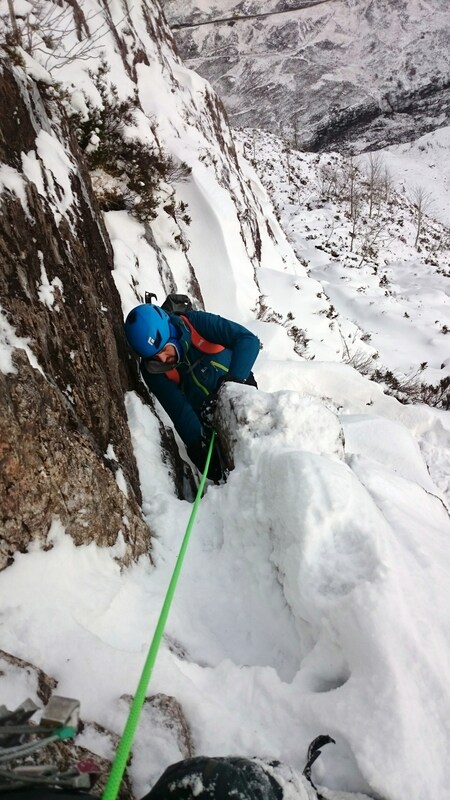 It was Kelvins second and final day so we went to Glencoe for a full day out up the ZigZags and Dorsal Arête – a full day it was! As we geared up for the Zigzags more and more teams emerged, I counted 18 people not including us, it was time to get a move on. We broke trail along the route and topped out at a reasonable time, I had imagined the ridge that connects Gearr Aonach to Coire nan Lochan to be fairly wind swept but I was wrong. 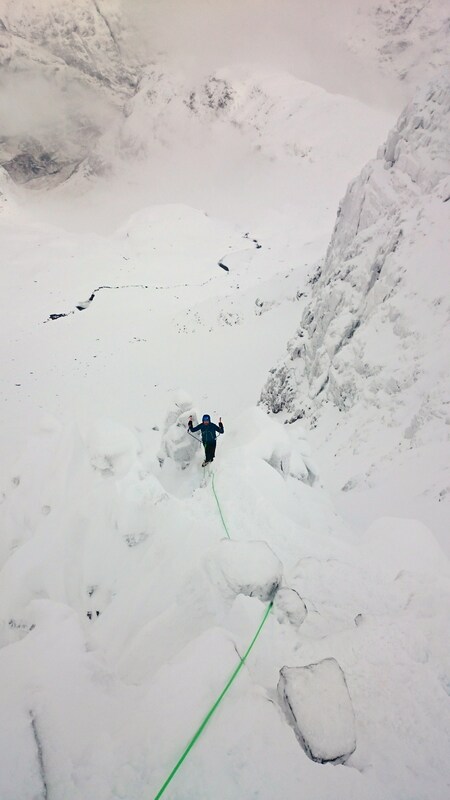 It took nearly two hours wading through thigh deep snow and even deeper drifts to get into the Coire, it was time to put the foot down and make haste for Dorsal Arête. The route is well stepped out all the way and all the holds on the narrow crux have been brushed clear making for a straight forward but exciting ascent. 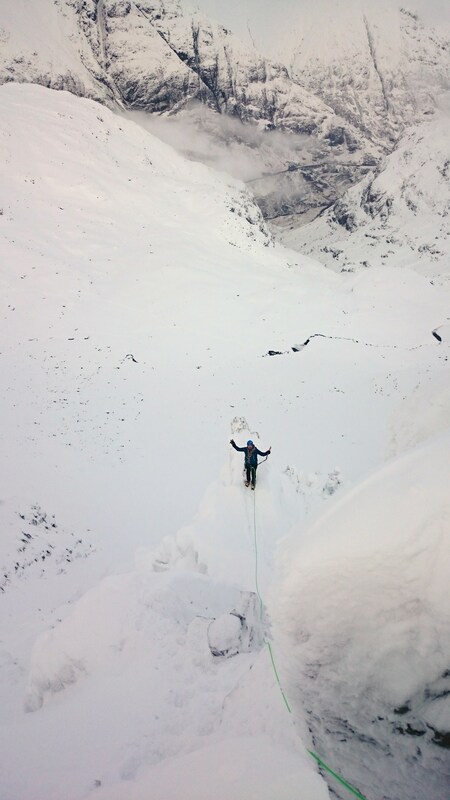 Kelvin was pretty tired by this point, so was delighted when I said we could bum slide down Broad Gully all the way to the Lochan before getting stuck into the very icy path back to the van. 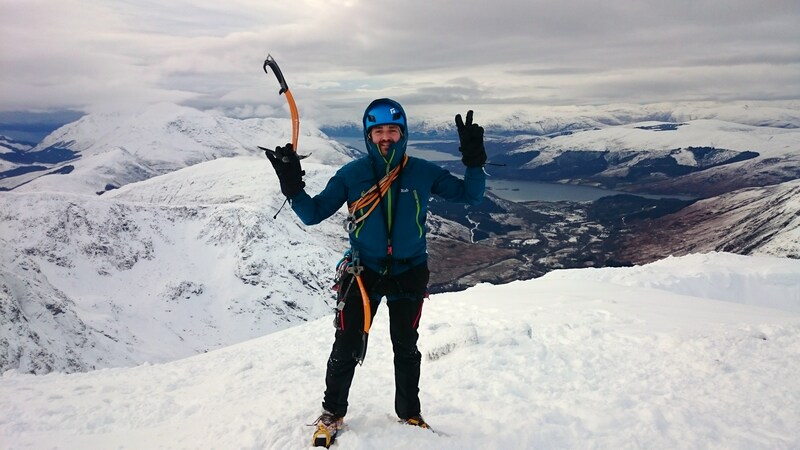 Sometimes mileage in the mountains is the best way to learn about what is required to be a winter mountaineer. Although we had little time under the circumstances to stop and chat through things, Kelvin felt he learnt allot just ‘doing what we do’ during his two days in Scotland. 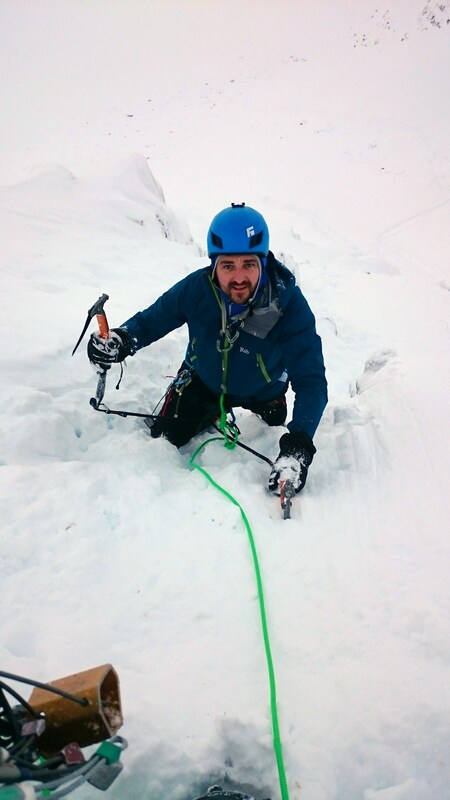 For me its always rewarding to see someone come on leaps and bounds over such a short period of time – another superb couple of days working for Abacus Mountain Guides.